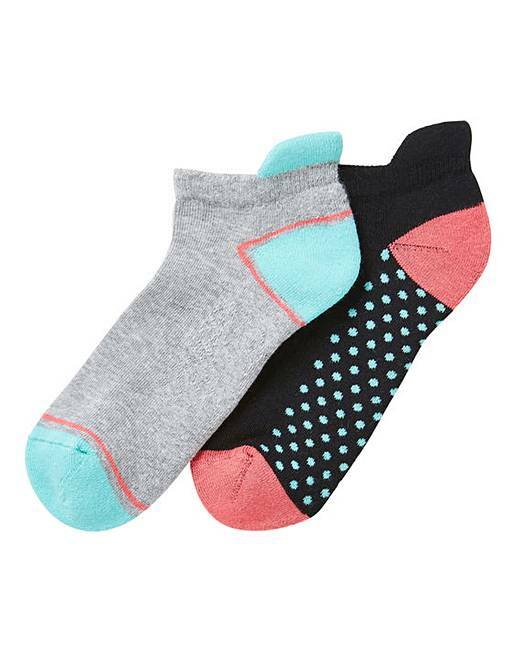 Practical and durable, these sporty trainer socks from Pretty Secrets are an everyday must-have. The perfect update for your sock drawer, this high-value pack of 5 promises to ensure your feet feel fresh and comfortable throughout the day. With cushion support for added comfort. One size fits 4-7. Sock 1: 69% Cotton, 15% Polyester, 15% Polyamide, 1% Elastane. Sock 2: 86% Cotton, 13% Polyamide, 1% Elastane.